After a long hard day at work, when you come back home, a massage would be great and just the thing you need to ease out those muscle knots. But it's not always possible to go to massage salon everyday, so these self massage tools are your best option. 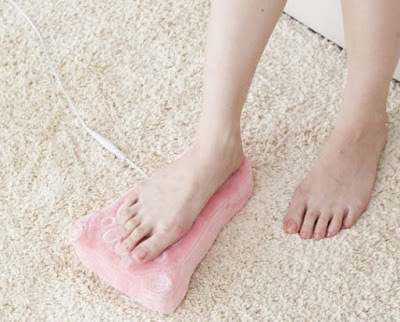 Tsuchi Fumi Foot Massage Block: The Tsuchi Fumi Foot Massage Block is made of natural raw material, natural diatomaceous earth collected in Japan's Akita Prefecture. It features rough surface, sits patiently on your bathroom floor, absorbing humidity and waiting for you to step on it. All you need to do is step on it for few minutes everyday to energize the soles of your feet and then your whole body. Buy Now. Tsubofit Massage Slippers: Just put these Tsubofit Massage Slippers on and leave the rest to them, you just walk around at your home, though it might feel a bit uncomfortable at the beginning but is good at its work as it eases out those muscle knots that can build up in your feet. Buy Now. Max Katao Massage Ball: The Max Katao Massage Ball is an extra hard barbell massage tool that makes self-massaging a lot easier. It can be placed at all those hard-to-reach and hard-to-put-pressure-on spots, your back, thighs, or calves; now you can work on those spots using your weight. Buy Now. Tsubo Gyutto Hand Massager: The Tsubo Gyutto Hand Massager is a pressure point massage tool that is here to ease those muscle knots that can build up due to hours spent sitting in front of a computer. Buy Now. Ladonna Fluffy Foot Relaxation Massager: The Ladonna Fluffy Foot Relaxation Massager is a feet massaging device that provides you three modes to choose from to relax those tired muscles. Buy Now. 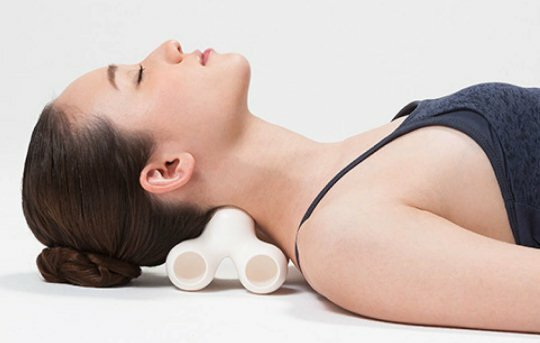 Akaishi Tsu-bo Massage Pillow: The Akaishi Tsu-bo Massage Pillow is just the thing you need for your neck, thighs, calves, back and foot. 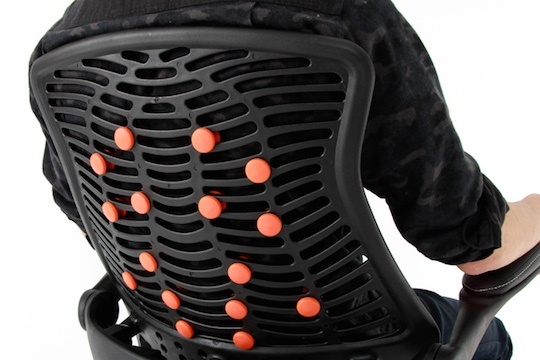 It features six polypropylene balls that work with your weight to untie all those muscle knots. Buy Now. 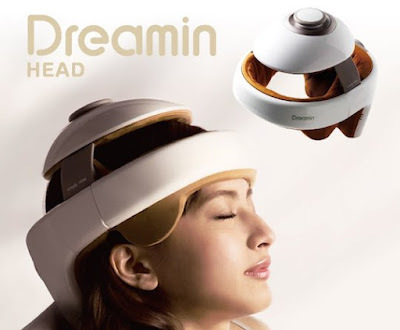 Dreamin Eye Massager: The Dreamin Eye Massager is a cordless device that comes integrated with heating and two types of air bags, gives you four different modes, each lasting a different length to match your schedule (5, 10, 15, 20 minutes) to relax your eyes. Buy Now. 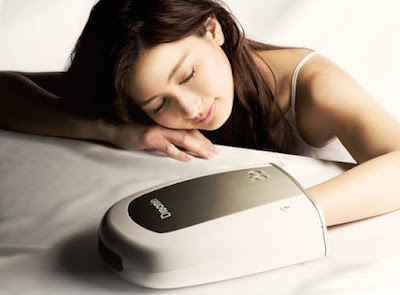 Dreamin Hand Massage Unit: The Dreamin Hand Massage Unit is a compact hand massage device that features six internal air bags that work with heating units to provide pressure and warmth to you hand. Buy Now. Dreamin Head Massage Unit: The Dreamin Head Massage Unit is an adjustable 360-degree device that comes with integrated air bags and neck balls along with heated areas at the back to massage your scalp and neck. It recharges in three hours and then you can use it cordlessly. Buy Now. Bauhutte Knochen Shiatsu Massage Office Chair: The Bauhutte Knochen Shiatsu Massage Office Chair is an adjustable acupressure point furniture that features 16 massage pins that can be attached and adjusted to your choice of placement. Buy Now. 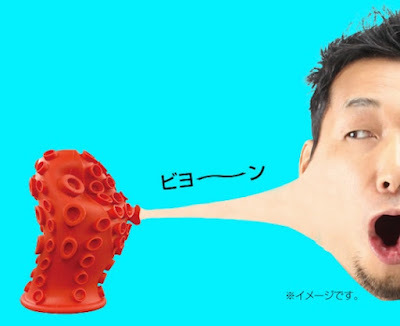 Iyashi Octopus Massager: The Iyashi Octopus Massager is sure going to be one of the most unique massage tools. Just wear it on your hand and let the "octopus" get to work. Buy Now. Mantensha Butterfly Tubo Massage Mat: The Mantensha Butterfly Tubo Massage Mat is a butterfly shaped relaxation tool for massaging the soles of your feet. Just place it flat down on floor and tread on and it massages and exercises the soles of your feet. Buy Now.